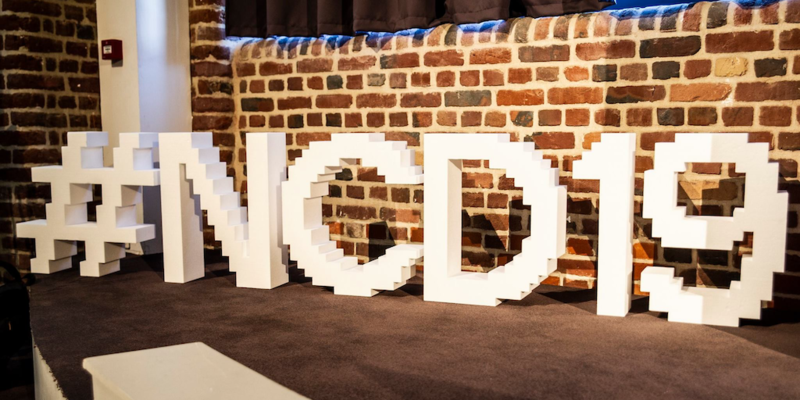 Gandi was present for the latest edition of #NCD19 (Nord Conversion Day 2019), a day of conferences and exchanges between web professionals about user experience (UX) and the state of the art of e-commerce. 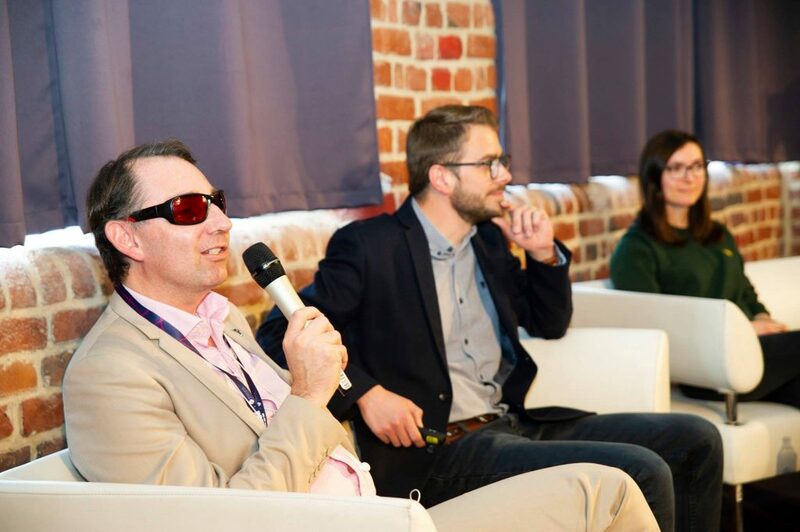 This edition, the fifth, took place in the EuraTechnologies park in Lille (two and a half hours North of Paris by car), where the research world, higher education, and new technologies come together. Organised by Wexperience, the meeting was a real opportunity to learn new things through concrete and instructive post-mortem reports. Here are the six cases that stood out to us. 1. Are habits friends or enemies of user experience? Change always creates dissatisfaction. Whenever you change something in your interface, it’s important to avoid reinventing the wheel and stick to certain conventions while user testing any planned changes. Olivier Sauvage, aka Captain Commerce, founder of Wexperience, recounted the sad story of Snapchat, who, in 2017, moved certain elements in its interface during an update to its application. This change disturbed the habits of its users enough to inspire a petition to return to the previous interface. Studies have shown that reptition of a particular behavior or a thought creates in the brain a myeline coating around the nerve fiber that transports the information. This substance accelerates the speed of transmission of information by more than 300 feet per second. The energy spent to complete a task decreases. Knowing the brain accounts for about 2-3% of the body’s weight but consumes about 20-25% of its energy, changing a users habits can mean a significant cost in energy. A change in an interface, whatever it may be, will always have an impact on the satisfaction of your users. When you measure that satisfaction, you’ll notice that it goes down after a change for awhile until it eventually rebounds as people’s habits change. If after that rebound, your users’ satisfaction is higher than before, the change was a success. When you create an application or a website, you try to impress your users with the experience they’ll have using the interface. 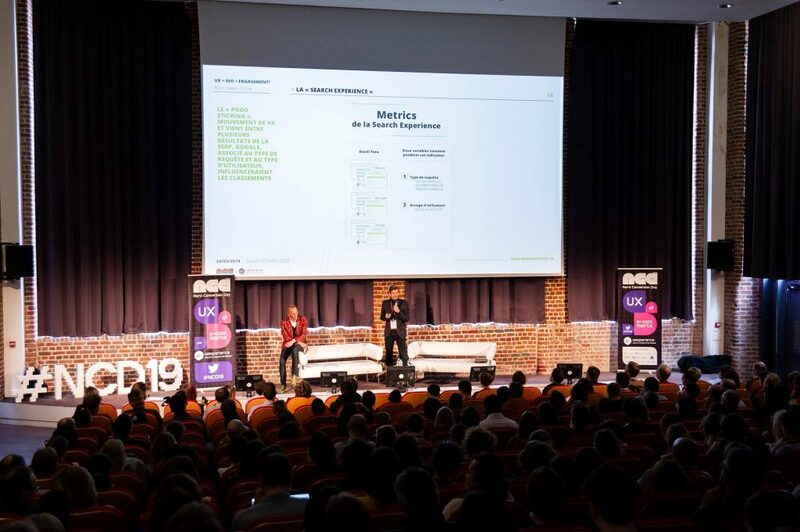 Cyrille Pattyn, chief executive at Wexperience, and Nicolas Auvinet, director of e-commerce development for April Moto, spoke about the latter’s site redesign. Improve conversion rates with iterations on the input form on the home page. Add a contexual help box to the right of the form to walk the user through filling out the fields and create a space allowing you to display lots of information. Induce user engagement by using an image of Johann Zarco, motorcycle champion, who wears the company colors. Users then gave each of these items a grade, which allowed them to analyze whether the user experience was improving. The site MMA.fr (the insurer, not mixed martial arts) is part of an ecosystem comprising numerous sites, sharing a single group in common, Covéa, who own the brands GMF, MAAF, and MMA. 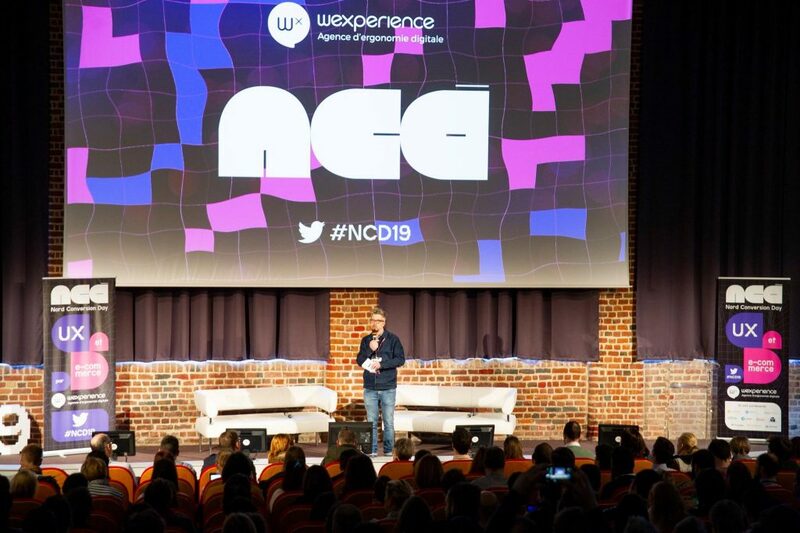 Cyrille Pattyn, chief executive at Wexperience, Guillaume André, CTO at Wexperience and Christophe Houzé, digital UX manager at MMA, described the problem of unifying the experience across all three brands. Design System is the tool that allows you to unify your different interfaces, presenting a series of elements, usage recommendations, in addition to interactive mechanics and, more generally, the core UX of each site. An audit of the existing sites allowed Corvéa to pull all the graphic elements of the site and categorize them into a single table in order to choose the final models to create the Design System. The criteria for success of this Design System were: a site that keeps a certain graphic coherence over time, the use of the design system by all three brands, the design system as a reflex for anyone producing digital support, the reduction in production time, and an improvement in overall quality. To put all of this into practice, the presenters recommend a web interface to consult and administer the design system, a universal content description format (Markdown), GitHub for sources, GitHub API and webhooks for synchornization and NPM for developers and third-parties seeking to integrate. The tools used by designers are looking more and more like the tools used by developers. Sketch is an approach using elements, using libraries, as well as software like Abstract or Plant that use versioning. Everyone’s talking about elements because a design system targets different areas of specialized work. It’s not a short-term deliverable, it’s a longterm project that requires regular follow-ups and updates. It also has to be made indispensible and needs to be evangelized internally while letting the different teams using it to have full control over content. UX and SEO are two interdependent ideas that cannot be disentangled. David Eichholtzer, founder and director of WAM Référencement, an SEO agency, and Vincent Lebarbenchon, Digital Marketing Manager at Total summarized why SEO is important and what impacts it might have on a site. By looking at the data from Search Experience Optimization (SXO), the entirety of all the techniques for optimizing the experience of users searching using search engines, they observed that 64% of searches don’t end in a click, which leaves a very large margin for improvement. The trick, then is to capture micro-moments: I want to know / I want to do / I want to go / I want to buy. Then, it’s important to identify the relevant keywords in order to inform editorial decisions. Once you identify the “micro-moments” and keywords, you can focus on improving your SEO and optimizing the search experience of the user. Everyone should find the tone that best matches their audience. Up-selling involves recommending a product with the same characteristics but with additional options, oftentimes a more expensive product or service. Cross-selling involves recommending products or services that compliment another, in addition to what the user has chosen. It’s easier to sell to someone who’s already a customer than someone who isn’t. Which is why both cross-selling and up-selling are so important. The challenge is to offer the right product at the right moment. Knowing your customers is essential and leads to a greater capacity to understand and segment them into personas and their behaviors. That’s how you segment the market: a kind of one-on-one marketing. Amazon’s home page, for example, segments the market individually per person. Each user is considered their own unique persona. Recommendations are personalized and personal. There are two approaches that we can distinguish: collaborative-filtering based on recommendations from other users and content-based which is built around what a user has already selected. Mathieu Froidure, president of Urbilog, presented the issue of accessible user experience for e-commerce sites, and notably for those with permanent, temporary, or progressive disabilities. He shared with attendees his daily experience as a non-seeing person and demonstrated his experience navigating an e-commerce site via Voice Over on mobile. The result was distressing: it was impossible for him to tell the difference between different products, choose a product, and see its characteristics. In short, it was virtually impossible to make a purchase. But Mathieu has found an opportunity in this restriction! Historically, certain inventions have been born out of the need for greater accessibility. SMS for example was only supposed to be used internally at the beginning, and remote controls were originally designed for those unable to get up from the couch to change the channel. Both of these have since become indisposible tools for all of us. One of the enormous advantages of e-commerce is the ability to offer different user experiences that conform exactly to what customers need. Questions? Leave a comment or contact @Lauth0 on Twitter !